Molnlycke Mepilex Border (6" by 6", part number 295400) absorbs moderate to high amounts of exudate from wounds, and maintains an optimum healing environment. The Safetac technology reduces the pain during removal and won't damage the wound. Pack of 3 boxes (5 dressings per box). 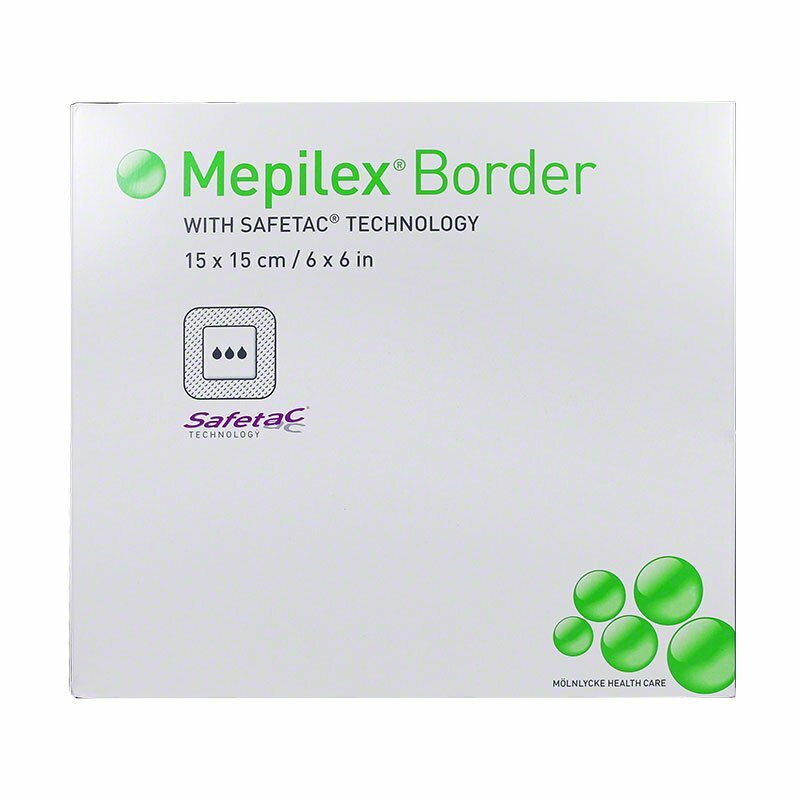 Molnlycke Mepilex Border (6" by 6", part number 295400) absorbs moderate to high amounts of exudate from wounds, and maintains an optimum healing environment. The Safetac technology reduces the pain during removal and won't damage the wound.